Which Personal Assistant Is Best? While Apple pioneered the idea of a smart voice-recognition personal assistant with the release of Siri on the iPhone, the last few years have seen this concept taken to the next level with smart speakers from Apple, Google and Alexa. But which smart assistant is best? While Siri is primarily known as the personal assistant on the iPhone and iPad, Apple recently released their own smart speaker called the HomePod. And, in true Apple fashion, the HomePod is packed with both superior sound and a superior price tag. But is Siri up to the task? Excellent at performing tasks and keeping you organized. The Siri tie-in to the iOS ecosystem makes her a great assistant for iPhone and iPad owners. Sky-high potential now that Apple is opening up Siri to third-party apps, which means she'll be able to do even more for your in the future. Has the most language and world-wide support. Siri is also available on a wider range of devices when you include Apple TV alongside HomePod, iPhone and iPad support. Only works with Apple hardware, so if you don't own an iPhone, iPad or HomePod, you are out of luck. She also works best within the Apple ecosystem, such as pulling up music form an Apple Music subscription. While great at tasks, she's not so great gathering information. She's the worst at interpreting human speech patterns and often returns text on the screen rather than a voice answer. Limited third-party features. Apple allows developers to make their apps Siri-aware, but developers cannot program apps directly into Siri as they can for Google Assistant and Amazon Alexa. It's no great surprise that the world's leading search provider has an edge when it comes to gathering information from the web and delivering it on command. But Google Assistant is far more than just voice-recognition front to Google Search. By far the best at interpreting human speech and delivering information. Great at understanding the context of questions, which allows for quick follow-up questions. Available on smartphones, tablets and smart speakers, including availability on the iPhone and iPad through the Google Assistant app. Shopping is actually quite strong thanks to Google Express. Third-party apps or "actions" help extend the functionality of Google Assistant. Google Play music channels are lackluster if you don't have a Google Play Music or YouTube Music subscription. You are better off switching the default provider to Pandora. While Google Assistant allows third-party developers to produce skills, it still lags behind Alexa in this regard. While both Apple and Google beat Amazon to the market when it comes to voice assistants, Amazon defined the smart speaker when it released Alexa. A voice assistant for a speaker is much different than one for a smartphone. For one, there is no screen, so all communication must be done with voice. She can do the most for you. Alexa has more third-party skills than Google Assistant or Siri. The best at shopping... so long as you shop on Amazon. It's no surprise that Alexa and an Amazon Prime membership go hand-in-hand. Almost free music. While the music subscription that comes with Amazon Prime isn't as exhaustive as Apple Music or Spotify, it's basically a free add-on for those of us subscribing to Prime for the free shipping or the streaming video content. The closest to the dream of a smart house. We all want to speak to our home, right? Alexa gives you that feeling moreso than any other assistant. She can even play Jeopardy with you! Closely tied in with the Amazon ecosystem. If you aren't a Prime member and don't regularly shop with Amazon, you won't get as much out of Alexa. 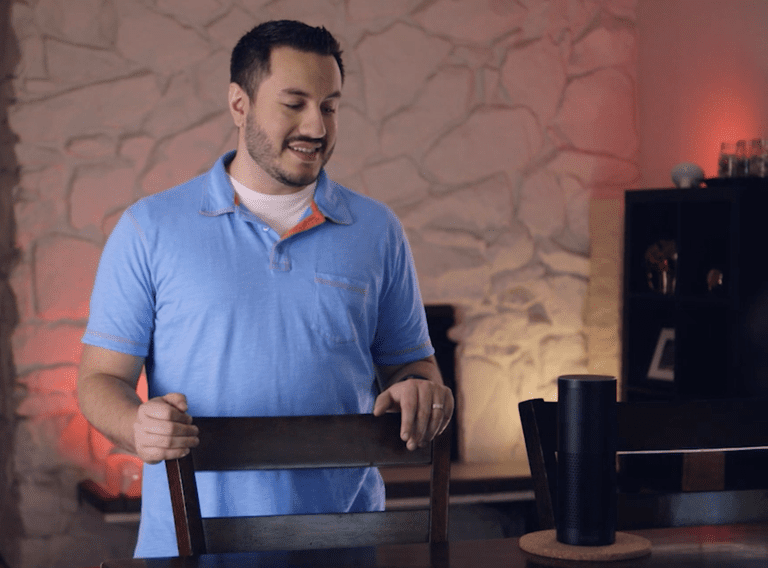 While Alexa can do more than other assistants, she's not quite as good as Google Assistant at following human speech and delivering information. But she's closer to this than Siri. Mostly a smart speaker assistant. While Amazon Alexa is branching out to smartphones and tablets, and there is a line of Alexa-enabled smart displays, she's still mostly a smart speaker. This means Alexa isn't quite as portable as other smart assistants. Which Smart Personal Assistant Is Right for You? There is no easy way to pick out the best overall smart assistant. They all have their bright points. Siri is the best assistant for a mobile device, Google is the best at understanding your requests and delivering information, and Alexa can do the most for you. So which to choose? Your first choice should be the assistant that comes with your smartphone. If you own an iPhone, check out what Siri has to offer. You might be surprise at how much she can add to your productivity. Want a smart speaker? Use Bluetooth to pair your iPhone with a wireless speaker. If you own an Android smartphone, try out Google Assistant. Similar to the iPhone, Android smartphones can be paired with wireless speakers. Not satisfied? Buy an Alexa smart speaker. The assistant on your smartphone is free, so you might as well check it out first. But if its not doing it for you, buy an Alexa smart speaker. Alexa has the most skills available and currently leads the market in this area. And because Alexa smart speakers come with an audio-out port, you can easily hook even the cheapest model up to a great speaker system. Which Android Smart Assistant Is Ideal for Your Hands-Free Needs? Choose Wisely: Is HomePod or Echo the Right Smart Speaker For You? Is HomePod or Google Home the Best Smart Speaker For Your Home? Is Google Home Mini Better Than Amazon Echo Dot? What Is Apple HomePod That Everyone's Talking About?